Saratoga County entrepreneurs offer up nonalcoholic, nontoxic brews and treats for the dogs of the Capital Region. Co-owners Tori Munn (left) Danielle Shanahan (right) and the pup that started it all, Molson (a.k.a. "Mo"). 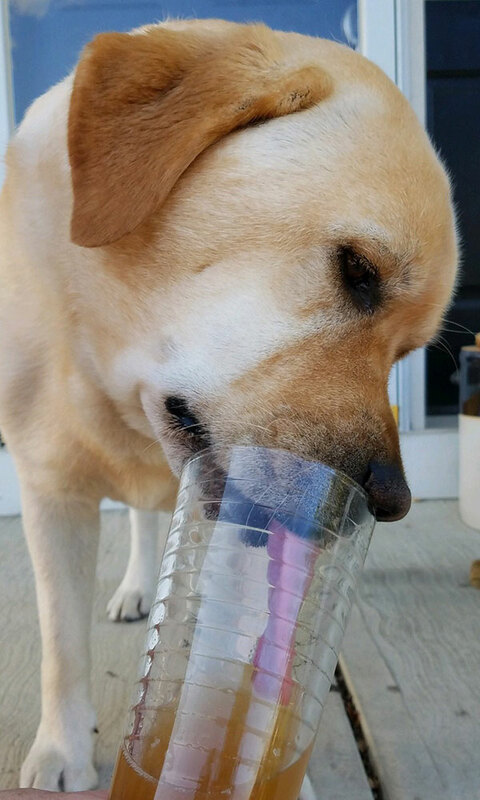 The dog days of summer aren’t so bad when you’re cracking open a cold one on your patio with your canine companion. You read that right: Beer for dogs is officially a thing, and I couldn’t be more excited to introduce you to trendsetters Mutts & Barley, a five-month-old Saratoga County business. 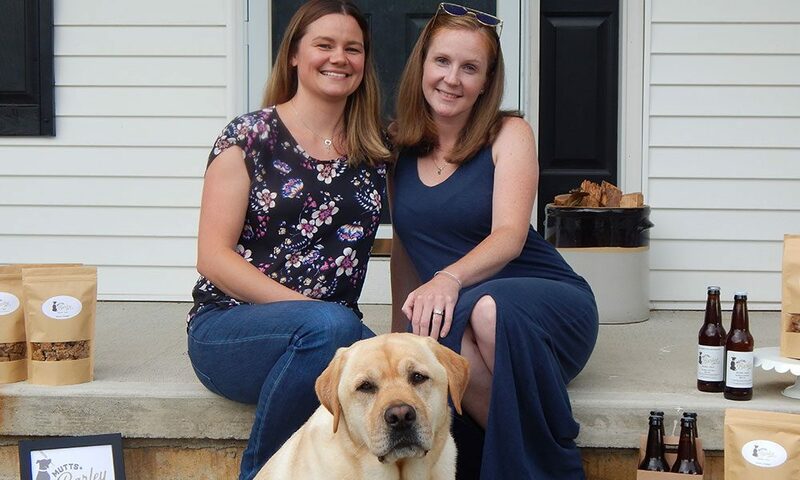 Founded this past February by neighbors/entrepreneuers Danielle Shanahan and Tori Munn, Mutts & Barley brews nonalcoholic, nontoxic dog beer and makes dog treats from the leftover (or “spent”) grain and other fresh produce. Mutts & Barley recycles 100 percent of its ingredients, which it purchases from farms in Upstate New York, and partners with local breweries to turn their spent grain into those all-natural dog treats. Molson enjoying a freshly poured Beef Ale dog beer. Shanahan and Munn’s brainchild came about as naturally as their products’ ingredients did: Munn’s husband threw some spent grain from his home-brewing project in the yard, which their aptly named dog, Molson, happily licked up. Shanahan, who lived next door, made a joke about brewing beer for dogs and using the excess ingredients for dog treats, and the rest is (relatively recent) history! Get to know the Mutts & Barley team at the Adirondack Iron Dog Walk/Run on August 4, or at their “Yappy Hours” around town. Check the company’s Facebook page for their complete schedule of upcoming events. Maddy Conroy is a junior at Hobart and William Smith Colleges, who's majoring in English and loves portrait photography. Recently, she also worked as an Editorial Assistant at saratoga living magazine.